Maritime terrorism is the premeditated wilful destruction of ships, cargo and port facilities, injury or death to crew and passengers, or the disruption of port operations in order to spread fear and mayhem. Since 1970 there have been 156,772 terrorist events54 of which only 323 were maritime based, with well-known examples including, MV Limburg Yemen in 2002, and M-Star Straits of Hormuz in 2010. There have been 36 biological incidents occurring worldwide, all of which have targeted individuals as a protest against specific issues and have utilized anthrax or ricin. To date there have never been any maritime incidents utilizing biological weapons. Terrorists generally advertise the fact that they are the perpetrators, whilst the nature of this weapon calls for anonymity which would enable multiple incidents to occur without undue attention being paid. Isolated incidents would then be seen as accidental. Attacks have political, social or religious motivations, and are generally directed against domestic symbols or soft targets with specific or targeted audiences55. There are no guaranteed results, and individual effects will differ depending on the level of exposure to the contaminated water. Whilst there is a small chance that other vessels could inadvertently distribute the biological weapon during their own ballast water exchanges it couldn’t be relied on due to the BW procedures and technology installed on other vessels. It can only target maritime businesses, coastal infrastructure, salt water economies, water supplies, power generation, and private citizens who make use of the waters for bathing, drinking or recreation. The New England Jellyfish is a plankton grazer which arrived in ballast water from vessels allied to the USA and deposited within Odessa in the Black Sea. This self-fertilizing hermaphrodite breeds as fast as it can eat56. They reach maturity within two weeks and then produce 8,000 eggs a day whereby the process continues. The jellyfish had no predators in their new environment, and proceeded to decimate local plankton and crustaceans populations, whilst also economically devastating anchovy and mackerel industries, and further causing dolphins to permanently migrate from the area. They also inadvertently blocked water intake pipes of desalination plants causing over-heating, and equipment breakdowns reducing operational activity57. The Central Asian Zebra Mussel originated around the Black Sea, but around the late 1970's found their way across to the USA, and were discharged in various locations within the great lakes. They rapidly spread, out-competing the endemic varieties and had the ability to attach themselves to any surface including other mussels. They also decimated fish hatcheries and as they became extremely concentrated, infrastructure management in the form of high temperature steam cleaning was required, which is extremely expensive, and utilization of chemicals which affected other organisms as well, which inadvertently led to a slight increase in Weil’s disease. To reduce issues with blocked intake pipes within coastal industries, the cost to the region is just over $2M per annum which is just for the removal of the IAS59. Their release cannot be said to be entirely negative as they have increased duck populations60. They have also slowed the effects of red algae through the Erie lake system due to the filtering effect of the mussels, although there is speculation that they are no better at doing this than the endemics, just that there was a higher population due to them out-competing the natives61. The IMO has acknowledged that it has neither the mandate nor the resources to enforce safety and environmental standards and requires the authority to impose penalties and sanctions similar to how FSC can deny entry to blacklisted vessels which are either unsafe or endangering the crew or environment under the MSA 1995. Since 2004 the IMO have stated that all vessels should install disinfection kits to kill IAS although cost has been the greatest issue, coupled with negligible due to a lack of legislation; even so the true aim should be to protect the environment, not just satisfy legal requirements. Compliance leads to better environmental profiling and image. International cooperation has always been the weakest link as well as a lack of technical developments, operational changes and biological understanding of ballast water methods; however this will all be futile without full member determination64. The BWMC which was proposed in 2004 has finally, due to Finland’s approval in 2016, now led to the convention’s ratification; the BWMC will now come into force in 2017. Current ballast water techniques do reduce the density of the organisms, but it is cost effectiveness that is the key criteria. Potential damage can be avoided with strict adherence to current procedures and utilizing specific technologies, although ballast water release can still occur on a judgement basis in incidents regarding potential ship or equipment damage, bad weather, physical stresses or cargo shifts that can affect vessel stability. However, many hurdles still exist, including; a lack of technological investment as it is financially non-viable especially for retrofitting existing ships, lack of governmental sponsored research, no fast track method for vessel implementation, no standard technology compliant within the shipping industry or IMO, and complete lack of training both for equipment, the plethora of current standards, regulations, laws, procedures, and regulatory regimes. The IMO have certified over 15 different treatments65, however some of the treatments have been shown to increase the threats of disease as the quiet warmer conditions within the tank act as disease incubators, whilst some treatments actively kills organisms such as copepods that eat the bacteria66. After treatment it has found that bacteria multiplies hundreds of times, and due to the higher concentrations mutate into new strains due to genetic exchanges increasing viral density and potential diseases. At present there are no regulations requiring measurement of diseases and this could lead to fatal flaws in security where terrorists could take advantage of new transport mediums, binding diseases to organisms, atmospheric or water sources67. Intentional damage is deemed a maritime security threat by the UN Secretary General68. However, there is insufficient concern regarding damage to the marine environment outside of nation’s jurisdiction to warrant any reallocation of policy powers. There are numerous international treaties on the stockpiling of biological toxic weapons which makes it unlikely that individuals, companies, or environmental activists could acquire them, leaving only terrorist organisations or rival nations as potential users69. Al-Qaeda reportedly owns 15 modified cargo ships that are used to transport weapons and can be utilised as bombs for use against high risk targets70. The biological weapons convention71 stops the development, production and stockpiling of potential biological weapons for armed conflict, albeit allowing their use for defensive purposes. A lack of widespread national ratification and of enforcement effectiveness exists which makes legal regimes inadequate to counter any potential threats. Within the United Kingdom attacks targeted at the populace would have to utilize pathogens or microorganisms that could either bypass water treatment plant safety measures: as virtually no-one gets water directly from freshwater sources like wells, pathogens and microorganisms would have to be able to survive in the cold waters of the British Isles for a considerable time in order for recreational and coastal tourism to be affected. Whilst biological warfare hasn't been utilised by environmental activists, organised resistance is becoming more common, generally focused against infrastructure and new developments leading to property damage from their main weapon; arson72. Since 1996 the ALF & ELF have been attributed to 1,200 criminal acts including vandalism and arsons which has caused over $100 million of damage. However no violence to humans has ever occurred. The ALF however has released the American Mink73 into the wild across the UK as a protest against fur farming which has seriously compromised indigenous species. On July 1st 2016, an incident occurred within the confines of the Port of Southampton. A failure of the ballast water systems of the MV Thunderchild75 a 10,000 TEU container ship that was taking on cargo has caused a biological incident that has affected many river users. The failure has resulted in thousands of tons of ballast water being deposited within the Solent and has since spread due to the tidal conditions throughout the local rivers and coastlines. The ballast water was originally obtained within the Bay of Bengal76 which is well known as a source of major transboundary pollution issues. The BW contained a wide variety of IAS which has caused multiple incidents of various degrees of seriousness to numerous affected parties. It has been deemed that this failure occurred due to an accident in on-board policy and inadequate training; however it should be noted that the vessel and the shipping company were not forthcoming in their involvement, and it has been speculated that they hoped that by keeping quiet they would avoid detection, could finish their cargo operations and depart for their next destination. Two individuals have been identified as having consumed raw shellfish from the oyster beds around Langstone Harbour. Tests have confirmed that the shellfish had absorbed toxins and heavy metals which had been eaten in large quantities giving the victims cumulative negative effects. Two have also been attributed to Cholera, Typhoid and E-coli which had been ingested from the contaminated water during recreational water sports located north of the Port of Southampton at Eling water skiing area. Tests within the ballast tanks, and of surrounding waters were found to be positive for pathogens. Hundreds of people have been infected due to their exposure of contaminated water on the local beaches which has affected tourism around Lee on Solent. Pathogen concentration levels were found to be sufficiently lower than around Eling. Exposed individuals have acquired mild symptoms of the diseases, also a marked increase in cases of stress, anxiety and fear and potential health concerns long-term. Exponential growth of algae due to an abundance of nutrients within the local waters has resulted in a visual spoiling of naturally beautiful beaches and a decline in tourism due to the formation of sludge made up of decaying algae which also produces a pungent odour. Fawley Power Station has reported that zebra mussels have caused damage to local hydroelectric turbines and have blocked water intake pipes needed for machinery cooling. Its ability to act as an emergency power site in the local area in case of faults within the power network has been seriously affected until cleaning and machinery replacements have been installed. Dibden Bay is a designated RAMSAR site which has had its protected intertidal marshes damaged due to disruptions in local food chains, changes in chemical conditions, and endemic species loss due to overwhelming invasive species. The MV Thunderchild and therefore its owners are liable for the majority of damages. However the Port of Southampton is also partially liable and stems from its limited breach of statutory duties caused by a third party. The pollution incident originated under their purview and control, which means that if the pollution, affected other users outside the port then the port count as third party trespassers at the very least. The shipping company should have foreseen the consequences of a failure in their BW systems and had in place contingencies and plans already in place to mitigate such a release80. Even though the effects are potentially dubious in nature the owners are still liable for any damages caused from their breach of duty81. The pathogens and diseases that were released during the BW incident came into contact with people using the local waters for recreation and tourism, and therefore unwarranted contact was established83. BW release has a wide impact on numerous stakeholders in varying degrees over a lengthy time period due to the nature of the organisms, including damage to local tourism and recreational economies, public health concerns, and its indiscriminate nature85. Private nuisance cases can be brought by individuals86 for damages to their property as long as there is ongoing interference, i.e. contamination to their drinking water supply. Southampton waters come under the Water Resources Act 1991, and S161 states that diseases that could contaminate or enter controlled waters that could lead to long term chronic pollution have to be dealt with using mitigating operations. Those who caused or knowingly permitted its release are bound under strict civil liability, restrictions imposed on the ship owner under the MARPOL and BWM Convention due to escape or persistent discharge are liable for any damage caused including costs of prevention, damage reduction, and mitigations. The BW incident is classed as an environmental incident that resulted in the injury or death87 resulting in a breach of the human rights act 194888. Severe pollution also affects people’s wellbeing and contravenes CETR article 889 as does incidents of accidental spillage90. Provisions within the Rome Statute established that the destruction of an ecosystem no matter its size could be classed as a war crime, as the extensive damage to an ecosystem would severely diminish the peaceful enjoyment of the inhabitants in the future. As the vessel failed to inform the port, local authorities or anyone in the company of the incident they are liable for any additional damages that could have been mitigated92. Protected habitats, i.e. any areas that have a designation93 are protected due to strict liability from anyone who transports dangerous or polluting substances, or against those who sell, transport or release genetically modified organisms. Damage is not easily monitored or observable due to the slow accumulative nature of IS. Environmental protection via tort, which in itself has issues as tort is generally concerned with private interests, whilst environmental damage is a public interest94. The only sure way of protecting the environment was to create a range of coercive laws and taxes that make it more expensive to pollute than it is to remedy the situation after conviction95. If the BW incident occurred due to the actions of third party then the shipping company would still be partially liable96. However they would be able to avoid any economic restitution or compensation awarded to affected parties97. If it could be proved that the BW incident had to occur to avoid further harm, then even though the actions were unlawful it was a necessity to avoid greater harm98. Environmental enforcement has steadily grown and will continue to expand its purview as environmental conditions deteriorate, however issues like transboundary regulations, a lack of substantive application, and contradictory legislation hampers the process. The general public are also unaware that many environmental disruptions are actually legal. Private prosecutions for environmental offenses require lower standards of proof than criminal penalties in tort actions but still need to establish culpability, and are relatively rare due to the costs involved99 unless you’re the RSPCA100. The biggest barrier to the successful implementation of legislation is the issue of causation101. To establish causation is both time consuming and expensive, which reduces possible environmental cases102. Many courts struggle to incorporate individual victims of traditional crimes where causation is clear cut let alone mass victimization of multiple disparate parties, which has disinclined prosecutors from pursuing cases where the full scope of possible impacts is impossible to record. The lack of dedicated environmental courts run by specialist environmental lawyers is an ongoing barrier to the prosecution of cases, although another attempt to prove the use of purely environmental courts happened in Sept 2011 where a mock trial was conducted in the UK for the crime of Ecocide103 and sought to prove that restorative justice104 was a good deterrent to future environmental crimes. Environmental crimes involves a complex set of variables that comes down due to current societal needs as it all depends on a balancing act of maintaining jobs and income against ecosystem maintenance, biodiversity and sustainability. Victims are often unaware that they have been exposed unless physical manifestations occur. A major issue is that economic restitution105 never manages to restore the victim or the environment to its previous state and due to the vagaries of environmental law compensation is rarely awarded106. However if they are found liable for environmental damage then the defendants are required to pay for all administration, legal or any costs related to the remediation, containment, or future mitigations. Damage to fisheries and aquaculture caused by pollution incidents have restitution based on accurate historical data of fish stocks107. Negligence provides compensation to the affected party, whilst not allowing the use of injunctions, and damages are rarely recoverable108. Nuisance cases vary widely dependant on the level of the courts. Magistrates Courts have no power to sentence anyone for greater than 3 months and fines of up to £20,000. If they consider that a penalty greater than 3 months is necessary, they can convict, but must send the case to Crown Court for sentencing which then allows for unlimited fines and 2 year fixed terms per offense. ECSOs have been available since 2010 for the distribution of monetary penalties, compliance, restoration, and desist orders for offenders who cause environmental damage109. The Polluter Pays Principle which is a well-established practice that hasn’t been transposed into any legislation and is utilised when the potential damage in a case is uncertain but significant. It is instituted on a case by case basis due to its subjective nature, as it anticipates possible contingencies based on previous restoration cases at the cost of imposing damage limit allowances. The Precautionary Principle cannot be legally quantified but has been successfully used in cases110. There appears to be no reported cases where prevention at the source of an environmental issue has been expressed111. It also suffers from its lack of significant legal weight, a lack of environmental sympathy and poor judiciary understanding that has led for some to advocate for specialised environmental courts112. The Wingspread Declaration is utilised when an activity raises threats of harm to human health or the environment. It is a precautionary measure that should be taken even if some cause and effect relationships are not fully established under current legislation. The Sunshine Regulation113 was originally intended as an embarrassment measure for large companies whose practices affected the environment. Mediocre performance would increase company exposure to negative press and damages to public image which would temporarily hamper profits. From a preventative standpoint it is effectively useless, especially long term due to its limited power and complete lack of any financial punishment. Atiyah, P.S. Rise and Fall of Freedom of Contract. 1979. Baatz, Y., Velasco, A.C., et al. Maritime Law. Sweet and Maxwell, London. 2011. Baughen, S. Shipping Law, (5th ed. ), pp: 316-330. Routledge, England. 2012. Beckman, J. Comparative Legal Approaches to Homeland Security and Anti-Terrorism. Ashgate Publishing, England. 2007. Beder, S. Environmental Principles and Policies: An Interdisciplinary Introduction. Earthscan, London. 2006. Bell, S., McGillivray, D. Environmental Law (8th ed. ), Oxford University Press. 2013. Beyerlin, U., Marauhn, T. International Environmental Law. Hart Publishing Ltd, Oxford. 2011. Bingham, N., Blowers, A., Belshaw, C. Contested Environments. John Wiley & Sons Ltd, Chichester. 2003. Bjorn, K. International Maritime Organisation & World Maritime University Global Research & Development Forum on Emerging Ballast Water Management Systems. Wallin & Dalholm Boktryckeri, Sweden. 2010. Blowers, A., Hinchliffe, S. Environmental Responses. John Wiley & Sons Ltd, Chichester. 2003. Booy, O., Wade, M., White, V. Invasive Species Management for Infrastructure Managers and the Construction Industry. CIRIA. Latimer Trend, Plymouth. 2008. Boyle, A.E. Marine Pollution under the Law of the Sea Convention. 79 AJIL347. 1985. Burek, C.V. The role of the voluntary sector in the evolving Geoconservation movement. Geological Society: Special Publication 300. pp61-89. MPG Books Ltd, England. 2008. Burek, C.V., Prosser, C.D. The History of Geoconservation. Geological Society: Special Publication 300. MPG Books Ltd, England. 2008. Caddell, R., Thomas, R. Shipping, Law and the Marine Environment in the 21st Century. Lawtext Publishing. 2013. Carlton, J.T. Transoceanic and Interoceanic Dispersal of Coastal Marine Organisms. The Biology of Ballast Water. Oceanographic Marine Biology Annual Review 23, pp313-372. 1985. Churchill, R.R., Lowe, A.V. The Law of the Sea. (3rd ed. ), Manchester University Press, Manchester. 1999. Clark, C.W., Jager, J., Eijndhoven, J.V. Learning to Manage Global Environmental Risk: Managing Global Environmental Change. MIT Press, London-Massachusetts. 2010. Dandu, P. Ballast Water Management - An Overview of the Regulatory Process. Wallin & Dalholm Boktryckeri, Sweden. 2010. Dandu, et al. Review of emerging risks from ballast water treatment. Chemosphere Journal, 122 (10), 2014. Dennison, W.C. Environmental Problem Solving in Coastal Ecosystems: A Paradigm Shift to Sustainability. Estuarine, Coastal and Shelf Science 77, pp185-196. ScienceDirect, University of Maryland, USA. 2007. DHS. Diversity in the Air, Astrobiology, Department of Homeland Security, USA. 2006. Dobbs, F., Rogerson, A. Ridding Ships Ballast Water of Micro-organisms, Environmental Science and Technology 6, pp259-264. 2005. Dobson, A. Biosecurity: Socio-politics of Infectious Disease. Routledge, England. 2013. Drake, L.A., Doblin, M.A. Potential Microbial Bio-Invasions via Ships Ballast Water, Sediment, and Biofilm. Marine Pollution Bulletin 55. 2007. Duffy, H. The War on Terror and the framework of International Law. (2nd ed. ), Cambridge University Press, England. 2015. Elliot, J. Wildlife Toxicology – forensic approaches. Springer, USA. 2011. Falk, I. Managing Biosecurity across Borders. Springer, USA. 2011. Farmer, A. Managing Environmental Pollution. Routledge, England. 1997. Farrall, S., Ahmend., T., French, D. Criminological and Legal Consequences of Climate Change. Hart Publishing, Oregon. 2012. Faure, M., Skogh, G. The Economic Analysis of Environmental Policy and Law. Edward Elgar Publishing Ltd, England. 2003. Faure, M.G., Lixin, H., Hongjun, S. Maritime Pollution Liability and Policy: China, Europe and the US. Kluwer Law International Journal Collection for Energy and Environment Law & Policy Series 13. Kluwer Law International, Netherlands. 2010. Finch, E., Fafinski, S. Tort Law. (5th ed. ), Pearson Education Ltd, England. 2015. Fitzmaurice, M. Contemporary Issues in International Environmental Law. Edward Elgar Publishing Ltd, England. 2009. Franklin, D., Hawke, N. Pollution in the UK. Sweet and Maxwell, London. 1995. Gillespie, A. International Environmental Law, Policy, and Ethics. (2nd ed. ), Oxford University Press, England. 2014. Gordh, G. Plant Biosecurity Principles – Agriculture. Springer, USA. 2013. Hakapaa, K., Molenaar, E.J. Innocent Passage – Past and Present. Marine Policy Journal 23 (2): pp131-45. Elsevier Science Ltd, England. 1999. Hall, M. Victims of Environmental Harm: Rights, Recognition, and Redress under National and International Law. Routledge, New York. 2013. Hamilton, D. Predation of Zebra Mussels by Diving Ducks: An Enclose Study. Ecology 75: pp521-31. 1994. Hancock, J. Environmental Human Rights - Power, Ethics, and Law. Ashgate Publishing Ltd, England. 2003. Hassan, D. Protecting the Marine Environment from Land-Based Sources of Pollution – Towards Effective International Cooperation. Ashgate Publishing Ltd, England. 2006. Hedemann-Robinson, M. Enforcement of European Union Environmental Law: Legal Issues and Challenges. Routledge & Cavendish Publishers, England. 2007. Herber, H. Invasion Biology and Ecological Theory. Cambridge University Press, England. 2014. Hill, C., Soehring., et al. Arrest of Ships. Lloyd’s of London Press Ltd. 1985. Hilson, C. Regulating Pollution: A UK and EC Perspective. Hart Publishing Ltd, Oregon. 2000. Hinchcliffe, S., Blowers, A., Freeland, J. Understanding Environmental Issues. John Wiley & Sons Ltd, Chichester. 2003. Hu, N.T.A., McDorman, T.L. Maritime Issues in the South China Sea. Routledge, New York. 2013. Huat, T.Y. BWM Hurdles and the Need for Innovative Approaches: An Industry Perspective. Wallin & Dalholm Boktryckeri, Sweden. 2010. Huber, M., Liberatore, A. Learning to Manage Global Environmental Risk: A Regional Approach to Management of Global Environmental Risks - The Case of the European Community. MIT Press, London-Massachusetts. 2010. Jackson, D.C. Enforcement of Maritime Claims, (4th ed. ), Informa Professional, England. 2005. Jarvis, J.P. Ecological Principles and Environmental Issues. Pearson Education Limited, England. 2000. Jones, S. Maritime Security: A Practical Guide. The Nautical Institute, London. 2006. Kachel, M.J. Particularly Sensitive Sea Areas: The IMO’s Role in Protecting Vulnerable Marine Areas. Kirkman, R. The Ethics of Metropolitan Growth – the future of our built environment. Continuum International Publishing Group, England. 2010. Klein, N. Maritime Security and the Law of the Sea. Oxford Monographs in International Law. Oxford University Press Inc, New York. 2011. Kjerfve, B. IMO-WMU Global R&D Forum on Emerging Ballast Water Management Systems. Wallin & Dalholm Boktryckeri, Sweden. 2010. Kyriacou, S. Ballast Water Management Conference: Technologies, Challenges and Solutions by Wartsila Environmental Solutions. Warsash Maritime Academy, England. 2015. Leib, L.H. Human Rights and the Environment: Philosophical, Theoretical, and Legal Perspectives. Martinus Nijhoff Publishers, Leiden. 2011. Lloyds. International Maritime and Commercial Law Yearbook. Informa Professional. 2003-2009. Loomis, J. Economic Values without Prices, the Importance of Non-Market Values and Valuation for informing Public Policy Debates. Choices Magazine, 3rd Issue, 20 (3). 2005. Louka, E. International Environmental Law: Fairness, Effectiveness, and World Order. Cambridge University Press, England. 2006. Lucas, P.H., Phillips. Protected Landscapes: A guide for Policy-Makers and Planners. Chapman & Hall, London. 1998. MacEwen, A., MacEwan, M. A Cosmetic Conservation System. John Willey & Sons Ltd, New York. 1982. Macrory, R. Principles of European Environmental Law: Principles of the Avosetta Group of European Environmental Lawyers. Europa Law Publishing, Sweden. 2004. Mansell, J.H.K. Flag State Responsibility: Historical Development and Contemporary Issues. Springer-Verlag Berlin Heidelberg, Germany. 2009. Marcel, V., Cato, T.H. Ballast Water Treatment Systems: Old and New Ones. Wallin & Dalholm Boktryckeri, Sweden. 2010. Marques, R.C. Regulation of Water and Wastewater Services: An International Comparison. IWA Publishing, London. 2010. Martin, G. Understanding Terrorism: Challenges, Perspectives and Issues. pp4-6, 267-331. SAGE Publications Ltd, California State University, London. 2010. McConnel, M.L., Gold, E. The Modern Law of the Sea: Framework for the Protection and Preservation of the Marine Environment. Case Western Reserve Journal of International Law 23, pp83-105. 1991. McEldowney, J.F. Environmental Law and Regulation. Blackstone Press, London. 2001. McNeely, J.A. Protected areas for the 21st century: Working to provide Benefits to Society. Journal of Biodiversity and Conservation 3 (5). Chapman & Hall, Switzerland. 1994. McNicolas, M. Maritime Security: An Introduction. Elsevier, Oxford. 2008. Mejia, M.Q., Kojima, C. Piracy at Sea. WMU Studies in Maritime Affairs Book 2. Springer-Verlag Heidelberg, Germany. 2013. Michael, G.P. The Variable Buoyancy Ship: A Road to the Elimination of Ballast. Wallin & Dalholm Boktryckeri, Sweden. 2010. Millett, P.M.A. The Encyclopaedia of Forms and Precedents (5th ed. ), Public Health and Environmental Law Rating and Similar Charges 32, Butterworths & Co, England. 1992. Millett, PMA. The Encyclopaedia of Forms and Precedents (5th ed. ), Shipping, Solicitors, Stock Exchange & Telecommunications 39, Butterworths & Co, England. 1992. Molenaar, E.J. Managing Biodiversity in Areas Beyond National Jurisdiction. International Journal of Marine and Coastal Law, 22(1:4), pp89-124. 2007. Mooney, H. Invasive Species in a Changing World. Island Press, USA. 2001. Morris, D., Freeland, J., Hinchcliffe, S., Smith, S. Changing Environments. John Willey & Sons Ltd, Chichester. 2003. Mukherjee, P.K., Brownrigg, M. Farthing on International Shipping. WMU Studies in Maritime Affairs Book 1, (4th ed. ), Springer-Verlag Heidelberg, Germany. 2013. Murphy, M.N. Contemporary Piracy and Maritime Terrorism: The threat to International Security. Routledge, Oxford. 2007. Nalepa, T. Quagga and Zebra Mussels. CRC Press, USA. 2012. Navrud, S., Ready, R. Environmental Value Transfer: Issues and Methods. Dordrecht, Springer. 2007. Naylor, T.P. Maritime Tankers: Terrorist Threats, Consequences and Protective Measures. Nova Science Publishers Inc. New York. 2009. NOAA Fisheries Service. Ballast Water – A Pathway for Aquatic Invasive Species, USA. 2013. NSCA. Pollution Handbook: The Essential Guide to UK and European Pollution Control Legislation. 1995. Parsons, M.G. The Variable Buoyancy Ship: A Road to the Elimination of Ballast. Wallin & Dalholm Boktryckeri, Sweden. 2010. Pearce, F. How the Soviet Seas Were Lost, New Scientist 11, pp38-42. 1995. Pearce, F. Dead in the Water, New Scientist, pp26-31. 1995. Pearce, F. All-Out War on the Invader, New Scientist 3, pp34-38. 1998. Pearce, F. The New Wild: Invasive Species will be Natures Salvation. Icon Books Ltd, London. 2015. Pennington, M. Conservation and the Countryside: By Quango or Market? IEA Studies on the Environment 6. Goron Pro-Print Co Ltd, London. 1996. Perrings, C. Bio-invasions and Globalisation, Ecology & Economics. Oxford University Press, England. 2010. Pettigrew, W. Conservation in Action. Geographical Magazine 55 (6), pp313-315. Royal Geographical Society, London. 1983. Pimental, D. Biological Invasions – Economic & Environmental Costs. Springer, USA. 2008. Prasad, S.K. Biological Agents (2). Discovery Publishing House. 2009. Prosser, C.D. The History of Geo-conservation in England: Legislative and Policy Milestones. Geological Society: Special Publication 300, pp113-122, MPG Books, England. 2008. Pugh, C., Day, M. Toxic Torts. Cameron May Ltd, London. 1992. Pughiuc, D. Ballast Water Management: An Overview of the Regulatory Process. Wallin & Dalholm Boktryckeri, Sweden. 2010. Rakibul, H. Biological Weapons: Covert Threats to Global health Security. Asian Journal of Multidisciplinary Studies. 2(9). 2014. Ready, R., Navrud, S. Benefit Transfer: The Quick, the Dirty, and the Ugly. Choices Magazine, 3rd Issue. ScienceDirect. 2005. Rilkov, G. Biological Invasions in Marine Ecosystems. Springer, USA. 2010. Roach, J.A. Initiatives to Enhance Maritime Security at Sea (28). Marine Policy (41). 2004. Roberts, J. Marine Environment Protection and Biodiversity Conservation: The Application and Future Development of the IMO’s Particularly Sensitive Sea Area Concept. Springer-Verlag Heidelberg, Berlin. 2007. Rothwell, D.R., Stephens, T. The International Law of the Sea, (2nd ed. ), Hart Publishing, London. 2016. Rue, C.D.L. Liability for Damage to the Marine Environment. Lloyd’s of London Press Ltd, London. 1993. Rue, C.D.L., Anderson, C.B. Shipping and the Environment, (2nd ed. ), Informa Law, London. 2009. Saul, B. Defining Terrorism in International Law. Oxford Monographs in International Law. Oxford University Press, England. 2006. Seebens, H., et al. The Risk of Marine Bio-invasion caused by Global Shipping, Ecology Letters 16 (6) pp782-90. 1986. Shearer, I.A. Problems of Jurisdiction and Law Enforcement against Delinquent Vessels. International and Comparative Law Quarterly 35(2:4), pp320-43. 1986. Simberloff, D. Invasive Species – What We Need To Know. Oxford University Press, England. 2013. Slavikova, L. From Cost Benefit to Institutional Analysis in the Economics of the Environment. Contemporary Economics 7 (2). 2013. Sneddon, S. Environmental Law (4th ed. ), Law Express. Pearson Education Ltd, England. 2013. Soyer, B., Tettenborn, A. Pollution at Sea: Law and Liability. Informa Law, England. 2012. Stevens, T. Can stated Preference Valuations help improve Environmental Decision Making? Choices Magazine, 3rd Issue. ScienceDirect. 2005. Tan, A.K.J. Vessel-Source Marine Pollution: The Law and Politics of International Regulation. Cambridge University Press, Cambridge. 2006. Tey, Y.H. BWM Hurdles and the need for Innovative Approaches: An industry Perspective. Wallin & Dalholm Boktryckeri, Sweden. 2010. Tickner, J., Gouveia-Vigeant, T. The 1991 Cholera Epidemic in Peru: Not a Case of Precaution Gone Awry. Journal of Risk Analysis, 25 (3), 2005. Tsimplis, M.N. Shipping in the Marine Environment in the 21st Century: Maritime Law Evolution. Hart Publishing, Oxford. 2013. Turner, S.J. A Substantive Environmental Right. An Examination of the Legal Obligations of Decision Makers towards the Environment. Wolters Kluwer, New York. 2009. USGS. Zebra Mussels Report – Great Lakes Science Centre, US Geological Society, USA. 2014. Vanderzwagg, D.L., Powers, A. The Protection of the Marine Environment from Land-based Pollution and Activities: Gauging the Tides of Global and Regional Governance. International Journal of Marine and Coastal Law 23 (3:9), pp423-52. 2008. Veldhius, M. Hallers, C.T. et al. Ballast Water Treatment Systems: Old and New Ones. Wallin & Dalholm Boktryckeri, Sweden. 2010. Warren, A., Goldsmith F.B. Conservation in Perspective. John Willey & Sons Ltd, New York. 1983. Wilde, M. Civil Liability for Environmental Damage: A Comparative Analysis of Law and Policy in Europe and the United States. Kluwer Law International, The Hague. 2002. Williams, P., Wallace, D. Unit 731: Japan’s Secret Biological Warfare in World War II. 1989. Woods, M. Rural Geography. Sage Publications Ltd, London. 2005. Wynne, B., Simons, P. Learning to Manage Global Environmental Risks. Institutional Cultures and the Management of Global Environmental Risks in the United Kingdom. MIT Press, London-Massachusetts. 2010. Zacharias, M. Marine Policy – An introduction to governance and international law of the oceans. Routledge, New York. 2014. Zaitsev, Y., Alexandrov, B.G. Recent Man-Made Changes in the Black Sea Ecosystem, NATO ASI Series. Kluwer Academic. Dordrecht, Netherlands. 1997. 1.) Tickner, J., Gouveia, T. The 1991 Cholera Epidemic in Peru: Not a Case of Precaution Gone Awry, 2005. 2.) Nash, C.N. Latin Nations Feud over Cholera Outbreak, 1992. 3.) The discharge might have been deliberate in order to test the concept of pathogen delivery. If this had happened simultaneously in various and strategic locations, it would lead to emergency and social services and medical facilities becoming paralysed, which would be ideal for creating confusion and panic that would overwhelm authorities in lieu of another form of attack. Author Speculation. 4.) Environmental law is a relatively new concept which has had to combine philosophy, economics, property, and insurance, public, comparative and EU law in order to be relevant and effective. 5.) A process caused mainly due to agricultural practices where the biodiversity balance is disrupted in still or slow moving water. Fertilisers are leached through the water table instead of being absorbed by the crops due to the excessive amounts used in order to combat potential run-off due to rain, which provides local algae a massive influx of nutrients causing exponential growth. The algae then spreads over the surface of the water body effectively cutting off all light to the water below. Without light the underwater plants are the first to die which causes either due to lack of available oxygen (hypoxia), or lack of food the demise of all aquatic life. Once all life has been terminated the algae burns itself out due to lack of nutrients, and the waters become the epitome of decay and stagnation. Carlton. 1985. 6.) Originally due to monarchist roots in the form of an unwritten constitution which was introduced by Alfred the Great, the constitution would steadily grow and expand due to the Norman invasion of 1066, and the Magna Carta in 1215 with it finally being established as statute law in 1297. 7.) Roman and Druid cultural, religious and hierarchical beliefs governed the population. Gavouneli, M. 1995. Shelton, D. 1991. McIntyre, A.D. 1995. Kiss, A.C. 1991. 8.) Its arrival would create a new era, the advent of the machines and large scale manufacturing. It would rapidly expand slow processes including chemical and natural resource manufacturing, and it would increase the spread and usage of steam technology into the rail and maritime industries which provided for the latter no greater speed but infinitely more reliable power than wind energy. 10.) Wilde, M. Civil Liability for Environmental Damage. 2002. 11.) Global issues that were in the public’s view were solved including stratospheric ozone degradation due to CFCs during the 1997 Montreal Protocols. Murray. 2003. & Liffin. 1994. 12.) Research was shaped on current technological advances, in the 1950’s physics was at the forefront of research, by the 1980s it had become ecology, and by the turn of the millennium it was centred on conservation. Young. 1999., Levy. 1996., Rowlands. 1995. & Desai. 1998. 13.) Clark, C.W et al. Learning to Manage Global Environmental Risk, 2010. 14.) Came into being due to the Environment Protection Act 1990 and the Environment Act 1995. 15.) Example: Cyclists and walkers gain a positive boost due to minimising their impact on the environment. However; they get increased social stigma, hostility from drivers and higher potential for personal injury. Their personal contribution is inconsequential as pollution levels stay virtually consistent and in fact is detrimental to their health and well-being. Similarly organisations and companies will prioritise economics over environmental concerns, undercutting more forward thinking companies by the balancing of probabilities of getting caught against possible fines and negativity. 16.) Any environmental activity that results in injury, illness or death breaches human rights. This law was introduced in 1948, but over 12,000,000 people still die each year due to contaminated water. Beder. 2006. 17.) This was due to the failure of the 1957 Treaty of Rome, which had successfully established the European Economic Community but also failed to impose a unified structure for environmental management, strategies or legislation. This led each nation to create their own frameworks which were impossible to implement or integrate on an international basis. The Geneva Convention sought to integrate maritime laws and conventions with the environment, which it did. However like most international discussions they failed to reach a consensus on whether to focus on conservation or resource utilisation as the gain of one was counterproductive to the other, and also whether constraints should be legalised or just remain as empowered discretion on the part of the nation affected. Gold, E. 1997. 18.) An emergency session of the UN General Assembly agreed that environmental deterioration had reached a detrimental level. Unga/res/2398(xxiii). Gillespie. 2014. 19.) Soft Laws were introduced similar to the maritime (COSWOP) code of safe working practices, which was designed as best industrial practices, guidance and deference. The initial concept was introduced as the Polluter Pays Principle and utilised the Latin concept of (sic utere tuo ut alienium non laedas) which translates out as the principle of good neighbourliness, abuse of rights, and the concept of custodianship and was implemented initially to provide economic cooperation and development against the unfair pollution control subsidies which were giving a competitive advantage for large organisations within the international trade market. This also led to the organisational changes within the international environmental action programs due to the 1973 Waters Act and adoption of environmental impact assessments within the industrial sectors against any detrimental environmental concerns, the protection of wildlife, and natural habitats. Birnie. 1997. 20.) UNCLOS is the United Nations Convention on the Law of the Sea which aims to protect and preserve the marine environment, natural resources, and maritime industrial businesses. The IMO is used as a negotiating forum, and is exceptional and unparalleled in its devotion for implementing international legislation, often hampered in its attempts due to the reluctance and inability of flag states to implement laws, train personnel and improve infrastructure. Tsmiplis, 2013. 21.) This convention was a direct response to the terrorist seizure of the Italian cruise ship Achille Lauro in 1985, and increased public pressure on governments to enforce policies leading to the USA convicting half of environmental crimes with jail terms, whilst New Zealand instituted million dollar fines. The PPP was expanded to include accidental damage, although it has been argued that it was only ever introduced to protect international trade rather than any deep seated urge to protect the environment. 22.) International laws can be enforced over an individual nation’s own legislation provisions, if the pollution or damage interferes or has the potential to interfere with others. Also introduced was the idea of marine protected areas at the Earth Summit which caused major controversy as varying levels of protection were now afforded to the environment, which placed restrictions on the principles of innocent passage and free navigation. Roberts, J. 2007. 23.) Convention designed to provide liability for damage resulting from activities dangerous to the environment, a continuation of work from the Council of Europe. Also in 1995 amendments were made to the MSA and the ISPS code. Louka. 2006. 24.) The Ballast Water Management Convention which started in 2004 is finally ratified by Finland in 2016, and will come into force in 2017 and also reinforced EU approved legislation banning the possession, transport and sale of invasive species that are deemed a concern worldwide. 25.) Carlton, C.W. Learning to Manage Global Environmental Risk. 2010. 26.) Which also added regulations over dumping and effluent. 27.) 44% comes from land, 33% from air, and 10% from dumping. 28.) Under UNCLOS art 19(2)(h)., although Boyle counters that they are only empowered to regulate pollution incidents within their remit, rather than being required to, which basically means that it is up to the flag state to decide whether they want to force the issue. Boyle, A.E. Marine Pollution under the Law of the Sea Convention. 1985. (Further details can be found in later sections in ports/flags of convenience). 29.) This because although UNCLOS provided bonuses to their nominal subscribed powers, they have actually only maintained their enforcement powers which were limited to start with. 30.) Churchill and Lowe. The Law of the Sea. 1999. 31.) UNCLOS art 211(3) anticipates that states will establish particular requirements for the prevention, control, mitigation and judgments on pollution matters of the maritime environment as a prerequisite for entry of said FS vessels into their ports and internal waters, with failure to comply with local legislation resulting in expulsion or detainment for not complying with other international legislation such as MARPOL or SOLAS. 32.) In the same way that flags of convenience has increased so that vessels can avoid the financial obligations, environmental standards and legal requirements of a stringent flag state, and instead make use of states with lesser standards, so too are ports of convenience increasing as they offer less financial and legal constraints on their practices, as well as less inspections, and therefore potential black listing. 33.) Mansell, J.H.K. Flag State Responsibilities. 2009. 34.) Invasive Species are defined as any organism that is displaced from its endemic environment, and by whatever means is thusly distributed to new ecosystems, whereby the organism becomes invasive either due to lack of predators, increased food supply, or better living conditions, and thus thrives in such a way that the indigenous organisms are out competed and rapidly decline. 35.) Tey, Y.H. BWM Hurdles and the need for Innovative Approaches, 2010. 36.) Findings from the International Geosphere Biosphere Programme. 2001. 37.) Pearce, F. The New Wild: Invasive Species will be Natures Salvation, 2015. 38.) During the Black Death over 75,000,000 people died due to an IS which originated in Asia in the form of bubonic plague carried by black rats. Modern examples include Chinese Mitten Crabs in Europe, Dinoflagellates causing Red Tides across the world and Asian Kelp in Australia. 39.) Seebens, H, et al. The Risk of Marine Bio-invasion caused by Global Shipping, 2013. 40.) Forced people to stop the spread of invasive plants, although a loop hole allowed for people to still cultivate them for personal reasons. 41.) Controlled the import of non-native fish by implementing a series of licenses and regulatory hurdles for ownership. 42.) Section 9 states that it is illegal to release or allow to escape any non-native species, and prohibits the sale of high risk invasive species. 43.) Although not an issue for IAS, it restricted the means in which IS could be killed, which actually harmed the anti-IS movement. A counter-productive law that actually increased the rate of environmental ecosystem loss due to the restrictions. No burning, drowning, suffocating, crushing, impaling, stabbing, exploding etc. R (on the application of Murray) v. Derbyshire county council, CO/1493/2000. The times, 8 Nov 2000 common. Hancock, 2003. 52.) Prickly Pear Cactus was a minor irritant compared to its introduced predator the Argentine Cactus Moth which not only thrived on the cactus but caused widespread lasting damage to the introduced areas, showing the unforeseen side effects of species introduction. 53.) Biological weapons is not a new concept in warfare, having been conceived throughout history for use against cities under siege. Rotting meat, dead bodies (especially lepers) and other foul smelling detritus would be catapulted into an enemy’s base to spread terror and potential diseases either to weaken or kill. The use of fungi was used to poison wells, and the Romans salted the earth to destroy any potential for crops which would also have a detrimental effect on their enemies. Hasan, E. Biological Weapons: Covert threats to Global Health Security. Technological sophistication lead to the production of germ theory and the use of anthrax and glanders was used in WW1 by Germany with indifferent results. Prasad, S.K. Biological Agents (2). The Geneva Protocol of 1925 prohibited their use. However although they never used them, Paul Fildes on approval of Winston Churchill effectively weaponised anthrax, tularemia, and botulism. Imperial Japan managed to bombed Chinese cities in 1940 with ceramic bombs filled with bubonic plague carrying fleas, although they were ineffective due to the inefficient delivery system still managed to kill 400,000 people. Williams, P., Wallace, D. Unit 731: Japan’s Secret Biological Warfare in World War II. 54.) GTD. Global Terrorism Database, 2016. 55.) Saul, B. Defining Terrorism in International Law, 2006. 56.) Similar to the release of rabbits in Australia, and the fictional Star Trek creature known as the 'Tribble'. 57.) Zaitsev, Y., Alexandrov, B.G. Recent Man-made Changes in the Black Sea Ecosystem, 1997. 59.) £100k damage occurred for water works modification in Killyhevlin, Ireland. Also costs the UK around £2B per annum, and the UK Biodiversity minister Joan Ruddock stated it as the 2nd greatest threat to biodiversity after habitat destruction. 60.) Hamilton, D. Predation of Zebra Mussels by Diving Ducks, 1994. 61.) USGS. 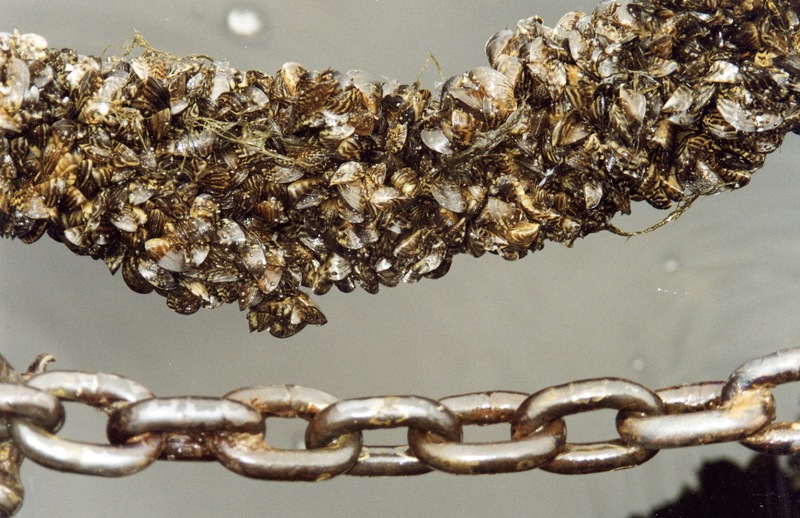 Zebra Mussels Report – Great Lakes Science, 2014. 64.) Dandu, et al. Review of Emerging Risks from Ballast Water Treatment, 2014. 65.) These include; filtration, cyclonic separation, heat treatments, flush through, microwaves, ultra-violet, mechanical abrasion, electrocution, cavitation, pressure waves and normal chemical methods. 66.) 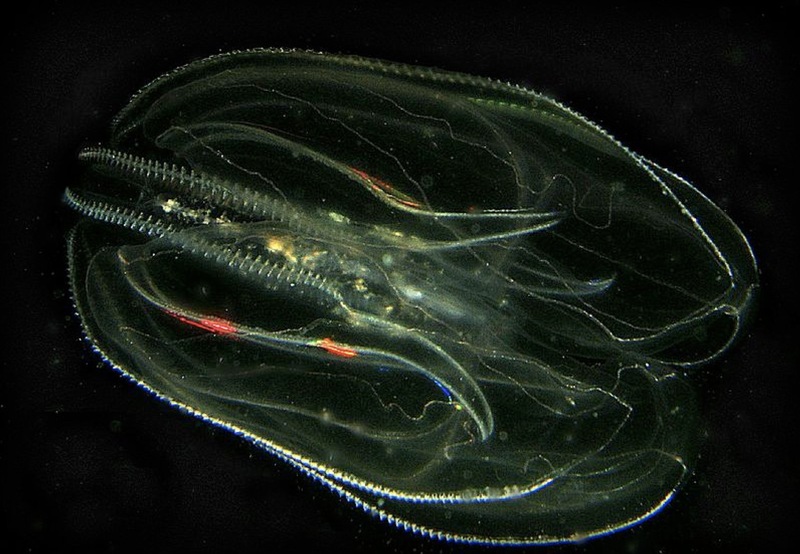 Small Crustaceans that eat plankton where the diseases normally thrive. They are the initial food source for carnivores, and are found in virtually every water habitat. A picture of one can be seen just under my name on the title page. 67.) DHS. Diversity in the Air, 2006. 68.) However not every breach of environmental law will constitute a maritime security threat, only the potential for all cases being such, and of a particular scale. See UN Report of the Secretary General: Oceans and the Law of the Sea (10 March 2008) UN Doc A/63/63., and the 1988 SUA Convention and 2005 SUA Protocol which further outlines the jurisdiction between PSC & FSC, i.e. port state controls ports and internal waters, whilst flag state monitors the territorial waters, the economic exclusive zone, and if required the high seas. 69.) The 1969 Stockholm Declaration redefined issues of toxicity, persistence, and bio-accumulation with additional attention being paid to species that serve as indicators of future environmental disturbances and their impact to humans. (P2.A/Conf.48/14/UN). This was reinforced in the 1972 Oslo Convention, and was further expanded on in the London Convention of 1973, which included the automatic black listing of commercial vessels which dumped biological contaminants. 70.) Roach, J.A. Initiatives to Enhance Maritime Security. 2004. 71.) Convention on the Prohibition of the Development, Production and Stockpiling of Bacteriological (Biological) and Toxin Weapons and on Their Destruction (1972) 1015 UNTS 163 [Biological Weapons Convention]. 72.) Martin, G. Understanding Terrorism: Challenges, Perspectives and Issues, 2010. 74.) This hypothetical scenario looks at the legal ramifications behind an invasive species release via ballast water, reviewing current legislation to determine whether the UK is prepared for such an eventuality. It also looks into the possible side effects of such a release. Although this is a hypothetical scenario, I have tried to minimise the assumptions I have taken so that the work remains realistic and credible, using the information from my primary evidence and my literature review to bolster the premise. The damage caused by the release of invasive species has been extrapolated on assumptions of species survival. The date provided gives optimal conditions for the pathogens, and the location has been used because of the abundance of potential species. In reality you would generally only be affected by a single invasive species that had become dominant within the ballast tanks. Since this case study is looking at the potential issues from a legal perspective I would ask that some leeway is given for any technical aspects that I might have inappropriately applied as I have limited biological, ecological or chemical expertise in this area. 75.) MV Thunderchild is a randomly chosen name with no reference to the real world organisations or persons with the intent to give it a sense of reality. 76.) The area is plagued by the developing nature of the surrounding states, which are rapidly expanding their coastal populations without the necessary infrastructure of waste management, or water conservation. Pollution and water quality are both major issues, with high concentrations of sewage, heavy metals, and toxic substances, as well as a large percentage of particulate in suspension. This has led to largescale hypoxia, which adds further constraints onto local fisheries. 77.) There are an estimated 700,000 people living within a 10 mile radius of WMA, which I have postulated would be the extents of a BW incident within the confines of the Port of Southampton due to tidal conditions within the estimated time frame, excluding the potential nature of pathogens which can spread inland. https://www.freemaptools.com/find-population.htm. I have thereby also postulated with local resources that since thousands of people visit the Solent region in the summer months for tourism, and that 1 in 100 people will likely contract the diseases and that the mortality rate is around 1 in 50 that a few deaths could occur in all probability. 10,000 tourists means 100 infected, and correspondingly 2 deaths. 78.) Tort is hard to clarify as it changes due to individual case circumstances, however at a general level we may say that tort is concerned with the allocation or prevention of losses which are bound to occur in our society. Rogers, W. Winfield and Jolowicz on Tort. 1989. 79.) Baron Alderson stated “That negligence is the omission to do something which a reasonable man, guided upon those considerations which ordinarily regulate the conduct of human affairs would do, or do something which a prudent and reasonable man would not do.” Blythe v. Birmingham Waterworks. 1856. 80.) Overseas Tankship v. Morts Docks and Engineering Co. 1961. & Alphacell v. Woodland. 1972. Although common law liability via torts of nuisance and negligence have only limited value. See, Esso Petroleum Co Ltd v. Southport Corp. 1955. Baughen, S. 2012. 81.) Re Polemis and Furness v. Withy & Co Ltd. 1921. & Halsley v. Esso Petroleum. 1961. However, in practice negligence is an inadequate compensatory response, i.e. The Torrey Canyon disaster of 1967, where the limit of liability was reckoned to be $6M, but they only protected themselves up to $1.25M as environmental damage is not easily attributed and therefore there was no pure economic loss. Although this then was countered in future legislation from the Prevention of Pollution Act 1971, and amendments to the Merchant Shipping Act sections 128-151. 82.) Provides reparations from direct physical incursions on a person’s property, although defendant can claim involuntary or necessity for the action. 83.) Indirect nature of contact as identified in Pursell v. Horn. 1838., and the understanding that a person can use their own land in anyway so long as it causes no harm to anyone else or their property. Established in Rylands vs. Fletcher and quickly used by Bamford v. Turnley and St Helens Smelting Co v. Tipping. 84.) First identified in Rylands v. Fletcher. 1865. (sic utere buo ut alicrum non laedus). Nuisance Principle: At your own peril you can keep anything you want on your property, however if something that is likely to do mischief manages to escape for any reason, then the owner is liable for any damage it does. However ones rights are only valid in the immediate area. Further identified in Jones v. Festiniog Railway. 1867., Crowhurst v. Amersham Burial Board. 1878. & Hillier v. Air Ministry. 1962. 85.) Lowrie. 2005., Castle v. St Augustine’s Links. 1922. & Attorney General v. PYA Quarries. 1957. 86.) However, they are time consuming and expensive and therefore only those with a vested interest are viable. 87.) Over 12,000,000 people die every year worldwide due to contaminated drinking water. 88.) Beder, S. Environmental Principles and Policies: An Interdisciplinary Introduction, 2006. 89.) Lopez Ostra v. Spain. 1994. 20.EHR277., and Prosner, R.A. Economic Analysis of Law. 1986. 90.) Water Resources Act 1991 S21 prohibits the discharge of anything considered to be poisonous, noxious or polluting. 91.) This is mentioned as a side note in the Rome Statute of 1998 which established the ICC that the destruction of an ecosystem could be classed as a war crime as per article 8(2)(b)(iv). This was further established as being correct by a lawyer called Schwartz in 1998 and criminologists Akella and Cannon in 2004. 92.) As shown in Barnes v. Irwell Valley Water Board 1939. I.K.B.21., Scott Whitehead v. National Coal Board. 1987. PRCR263., and Maclaine Watson v Dti 3 All ER 523 where early warning would have minimised incident effects. 93.) Designated areas and conservation zones are protected by the Conservation of Habitats and Species Regulations 2010 and Offshore Marine Conservation Regulations 2007, and the terrestrial 1949 National Park and Access to Countryside Activities Act. Enforcement can be done through the control by licenses and permits, effective monitoring and compliance, statutory controls, advice and research. 94.) Also how can the torts be invoked, only by those with sufficient interest? Either way the polluter is liable once they become aware of the pollution. 95.) Hardin, G. The Tragedy of the Commons. 1998. 96.) If you directly but without cause or knowledge cause damage then it is still your fault. Alphacell v. Woodward. 1972. 97.) Acts of the stranger protects the defendant if a third party caused the issue. Rickards v. Lothian. 1913. 98.) Incorrect loading by stevedores leads to the vessel experiencing a lack of stability that affects the structural integrity with the potential for breakup or capsize leading to even greater environmental damage; in such a case, then it could be held that it was the lesser of two evils. F v. West Berkshire HA. 1990. 99.) Hiring of lawyers, experts, and substantial research. 101.) Causation is the process of enquiry that must prove that the defendant caused the injury or damage. In a maritime scenario it is extremely difficult to establish. This is because even though it can be proved that pollution emanated from a particular vessel, it is a virtual impossibility to prove that specific injuries, conditions or damages were caused as a result. This issue was exemplified in R v. Koebel. 2004. OJ.5199. When a case was able to establish responsibility then demonstrated a breach of obligation and then ascertained damages, but couldn’t identify causation between the defendants and the claimants. 102.) Rees, 2001. Has often claimed that environmental crimes have no directly or clearly defined groups of victims. It is difficult for example to connect a specific discharge to a specific damage or harm, this is known as causation. This is emphasized further in Bell and McGillivray as complexities occur where a diverse range of individuals and cooperate bodies carry out activities that lead to breaches in environmental law. 103.) Ecocide is a term established as the extensive destruction, damage to, or loss of an ecosystem of a given territory whether by human agency or by other cases to such an extent that peaceful enjoyment by the inhabitants of that territory has been severely diminished. 104.) There is no current consensus on whether compensation or restitution schemes should focus on short term needs of individuals affected or longer term needs of community. 105.) S59 of the Environmental Protection Act, and S161 of the Water Resources Act allows for the compensation to be awarded to the claimants from the perpetrator up to £50,000, but it’s a shallow measure as it doesn’t faze companies who can shrug off small economic inconveniences. Of course a difficulty is that companies are forced to provide compensation for pollution incidents will simply increase costs of their products removing any deterrent the measures had. Examples include the rebuffed environmental compensation schemes due to bunker levy by BSC of the FTA. 106.) Evidence provided by the HoC EAC stated that even though there is a statutory provision allowing courts to award compensation from the perpetrators it doesn’t normally occur due to uncertainty in applying environmental concepts. 107.) Cost of restocking original supply with an additional generation based on historical data. Cook v. South West Water. 1992. 109.) However organisations like the RCEP, SDC, NE, MMO and EA have yet to issue a single one. 110.) Comprehensive surveys done by Trouwborst 2006, Bodansky 1991, Cameron 1991, Rothwell 2004, Weiner 2007 and Hey 1991-4. 112.) Everything is more expensive, time consuming and requires more planning to take into account the inherently dangerous environment when compared to terrestrial species. Macrory, R. Principles of European Environmental Law, 2004. 114.) Intentional damage to destroy or deprive someone else of their property is classed as criminal damage under the Criminal Damage Act 1971 S(1). 115.) Breaches S(1) of the Homicide Act as identified in Cunningham. 1982. Or Corporate Manslaughter S(1). 2007. 116.) Principle of Intention outlined in Mohan. 1976. 117.) Wilkinson v. Downton. 1897. & Collins v. Wilcock. 1984., and the UK anti-terrorism act, 2000. Richard J. Neale is currently pursuing a PhD in Maritime Psychology at Southampton Solent University in Southampton, United Kingdom.